Literally, Power Star Pawan Kalyan led Janasena is bringing shivers down the spines of leaders of TDP and YSRCP. Until a couple of months ago, both the political parties thought either TDP or YSRCP would form the government. However, as and when Pawan Kalyan took aggressive stance in political and has decided to contest in all constituencies YSRCP and TDP's leaders have got perturbed to the core. The do not even hesitate mutually collaborating in some of the areas to prevent Janasena's dominance. And this can be well noticed with the following story. Noted comedy artist and Janasena's sympathiser, Hyper Aadi attended a programme held by local Janasena workers at Kanduru of Punganooru constituency in Chittoor district on Sunday. While he was addressing to Janasena activists, YSRCP's rowdies suddenly entered the venue and interrupted his speech with 'Jai Jagan' slogans. Moreover, they damaged Hyper Aadi's car pelting stones on it. Janasena activists alleged that the meeting was attended by a big number of 5000 Janasena workers. "When such a huge number of turnout was attended, TDP government had deployed just two police. What an injustice act by the government! It's clearly indicated the fact that YSRCP and TDP united to suppress Janasena. However, Janasena has an unprecedented support from people, no political party stops Janasena's emergence," says a Janasena sympathiser. 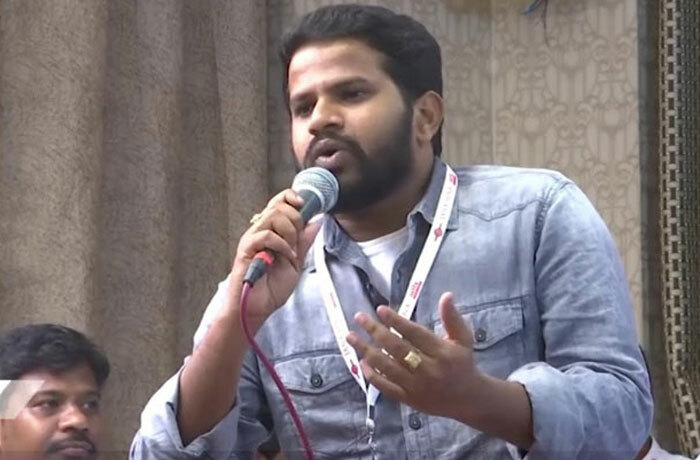 On the other hand, Hyper Aadi, who condemned childish act of YSRCP's workers, appealed people to write the positive qualities of three big leaders Chandrababu Naidu, YS Jagan Mohan Reddy and Pawan Kalyan with their conscience and would vote for the leader who possesses more positive qualities than other two leaders.